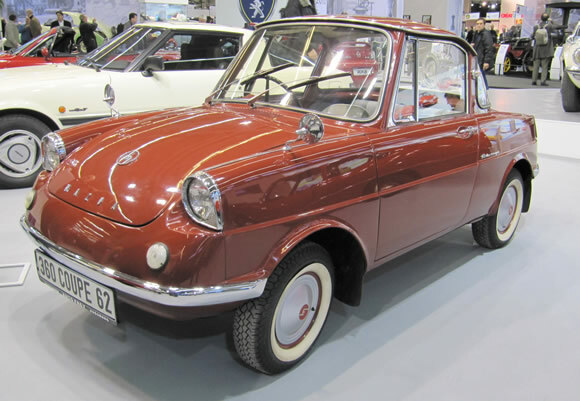 One of the early 'Kei' cars the Mazda R360 was Mazda's first proper car. With two doors, four seats and 16hp I was amazed to read it had a top speed of 84km/h. Part of the reason could be it only weighs 380kg. Mazda had a huge share of the market within a few years of introducing the R360. Amazing car!